WANT TO GET A TASTE OF THE KRUCH EVERY MONTH? SIGN UP FOR OUR MONTLY KRUNCH SUBSCRIPTION BOX AND GET YOUR FIRST BOX OF 4 BAGS FOR FREE! 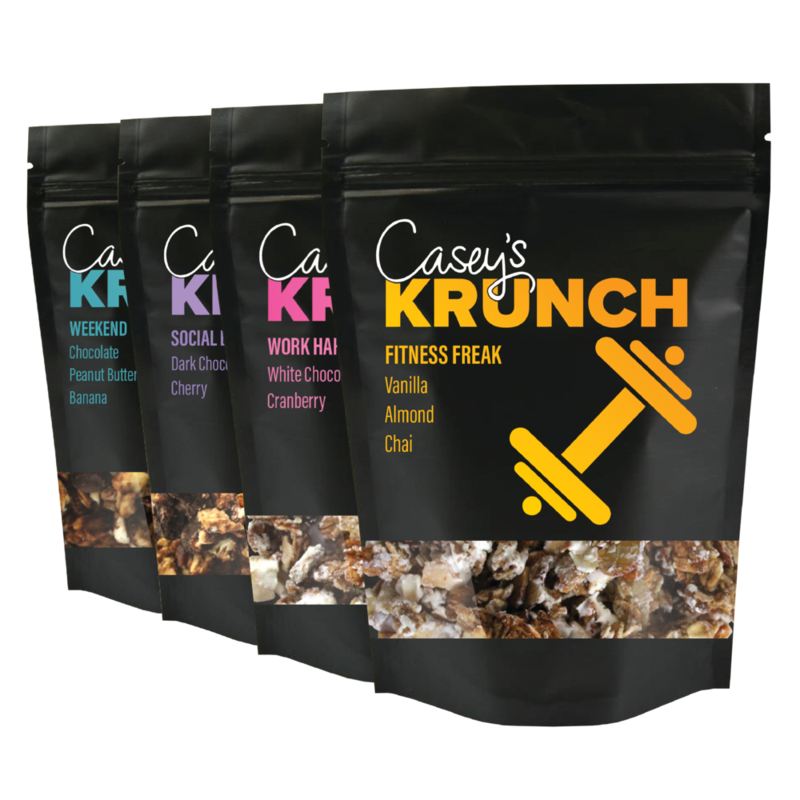 SIMPLY FILL OUT THE FORM AND WE WILL SHIP YOU YOUR FIRST TRIAL BOX OF CASEY'S KRUNCH ABSOLUTELY FREE. NO ONE IS GOOD WITH BREAKUPS AND NEITHER ARE WE BUT IF YOU NEED A LITTLE BREAK FROM THE KRUNCH JUST CLICK THE CANCEL BUTTON BELOW TO PUT A PAUSE ON YOUR SUBSCRIPTION BOX.